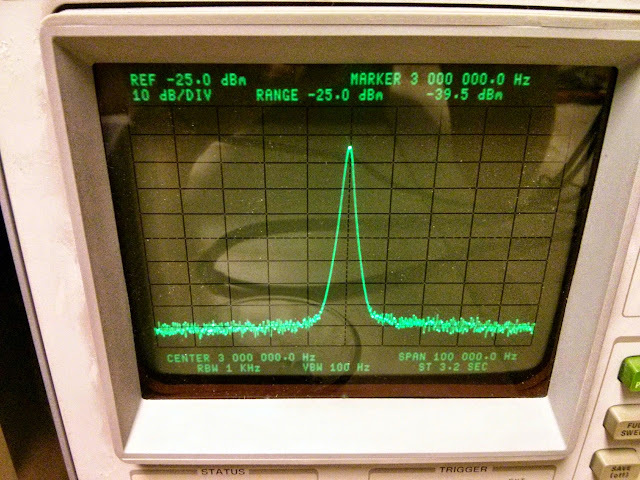 I spent some time playing around with one of my HP 3585A spectrum analyzers over the weekend to get a feel for its capabilities. 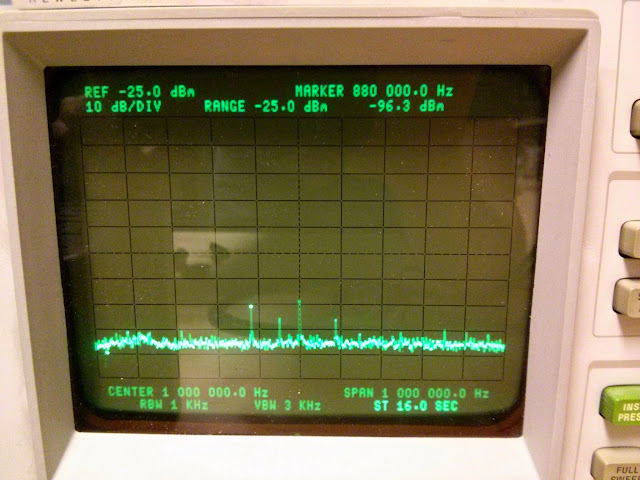 While it’s only good from 20 Hz – 40 MHz, it’s a very capable tool within those limits! Not bad! Those peaks are the local AM broadcast band stations. The marker is just left of center on 880 KIXI, our local oldie’s station playing period music. It’s great for vintage radios! Looks like the analyzer’s calibration is pretty good, too. Looking good! The levels agree within 0.5 dBm. How are those harmonics? Decent! 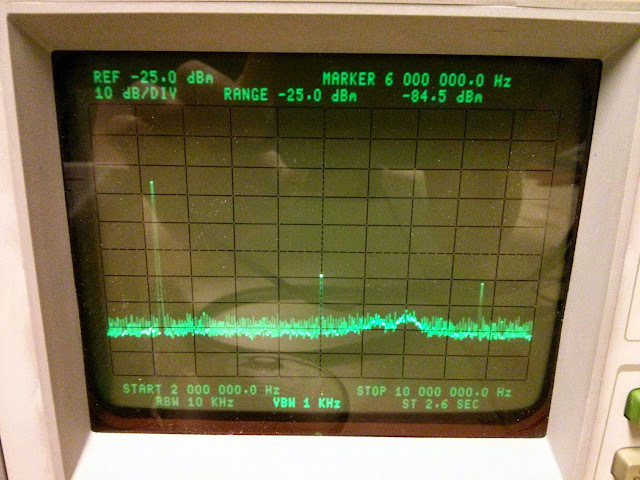 There’s the 3 MHz fundamental on the far left; the marker centered on the second harmonic at 6 MHz which is about -35 dBm down from the fundamental; the third harmonic at 9 MHz is about -40 dBm down from the fundamental. Respectable! I’ll eventually use these for aligning pass-bands on radio IFs, among other things. More on that when I get there. 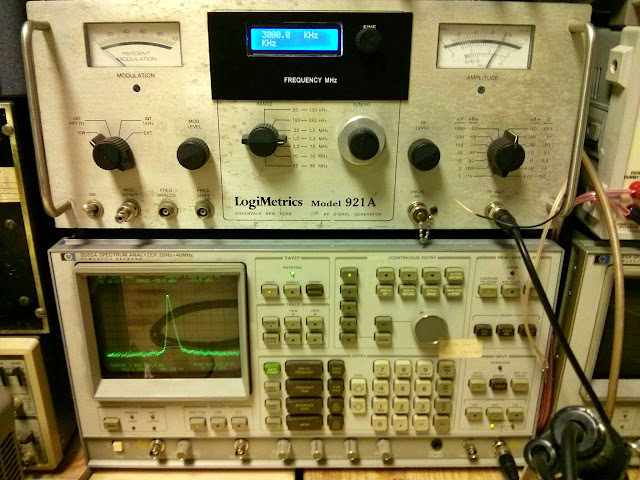 This entry was posted in Electronics, Gadgets, Test Equipment and tagged 3585a, HP, LogiMetrics, spectrum analyzer. Bookmark the permalink.